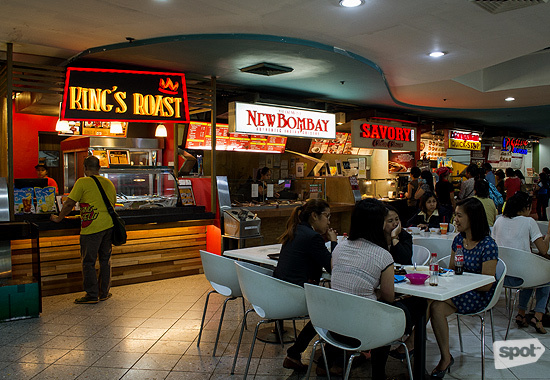 (SPOT.ph) True foodies will understand: Once you’ve sampled countless dishes, there really are a few that immediately stand out for leaving an unmistakable impression. These are of the kind you’re likely to keep coming back to. In our case, we’re still spellbound by Captain Manok’s roasts, the same ones that have graced our top 10 lists for liempo (No. 1) and roast chicken (No. 2). 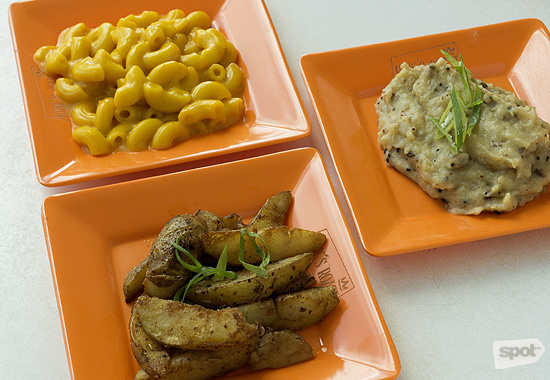 We can’t be any happier that these tasty savory delights can now be enjoyed outside of the to-go-only set-up. 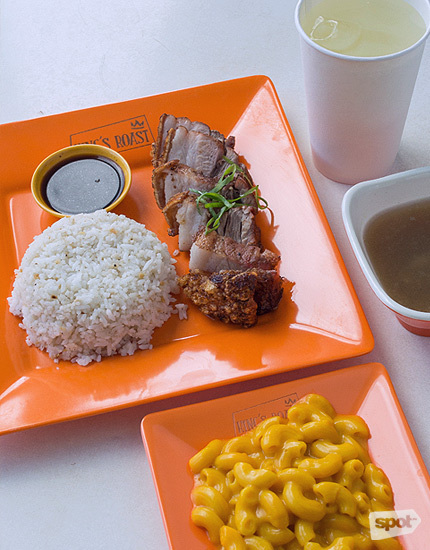 At King’s Roast, you can enjoy these as affordable combo meals—their way of answering the demands of the hungry, especially those who come in after a long day at work or school. The meats are served with a soup of the day, a cup of rice (you can get extra, upon request), a drink, your choice of side—Garlic Mashed Potato, Mac & Cheese, Herbed Potato Wedges, and Corn on the Cob (P40/a la carte). 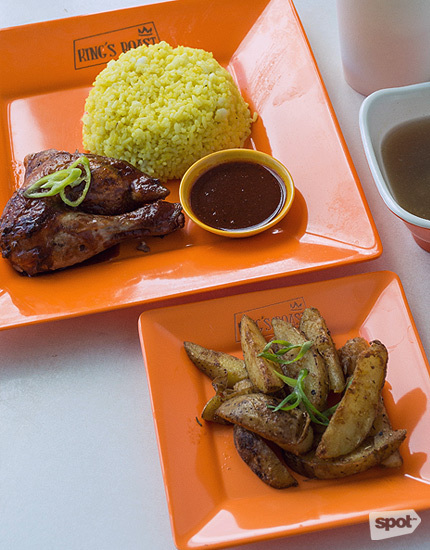 For the chicken, you can choose between two variants inspired by Filipino and Caribbean flavors, respectively: Captain’s Roast Chicken or Calypso Roast Chicken (P165/quarter, add P95/half). Both are wonderfully succulent from the skin to the core, but are set apart by their sauces and aftertastes. The former is served with a no-fuss toyo-mansi that leaves a light, sweet brush on the lips; the latter, meanwhile, is served with a special sauce that lends a zesty kick, its spices lingering on the mouth a bit more. 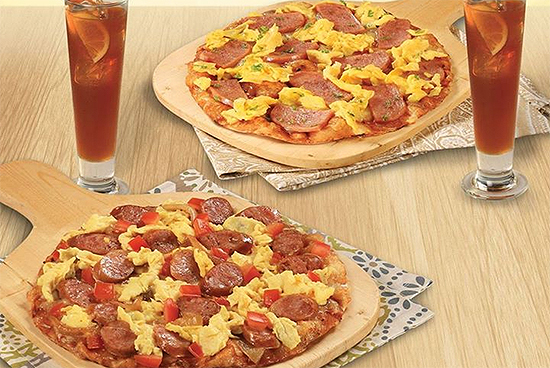 You can also get these in bigger servings: P349/whole and P199/half. What’s special about Chef Raj’s roast chicken? “Same, same, but different,” explains Chef Raj. “We do the same thing [as competitors], but different. Chicken is chicken, but we do something else to it.” He keeps his ingredients top secret, masking each one under the tags "love, happiness, hugs, and kisses." The Liempo (P165/half, add P95/whole) is a different ball game, but one that we’d like to figure in. 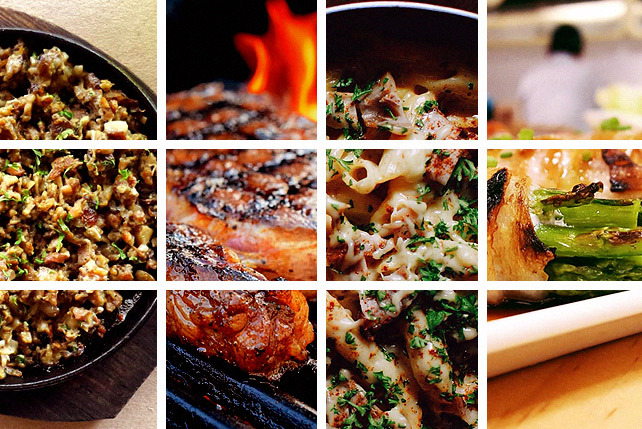 King’s Roast uses only the best cuts—those with the right proportions of skin, fat, and meat. 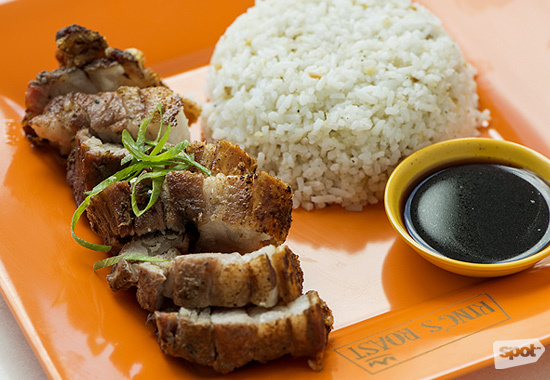 Everything in between is lip smacking, pure genius, the kind of grilled pork belly that might just be your top-of-mind. 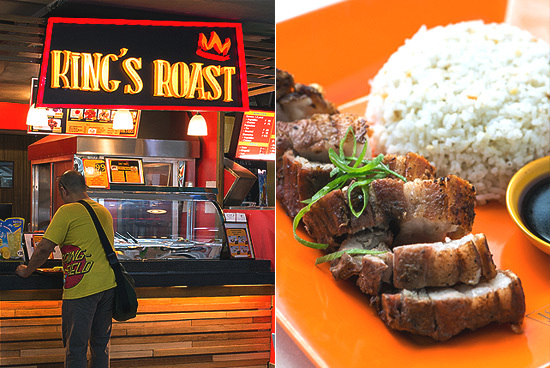 King’s Roast isn’t just about their main stars, their roasts, since they want to cater to more tastes. 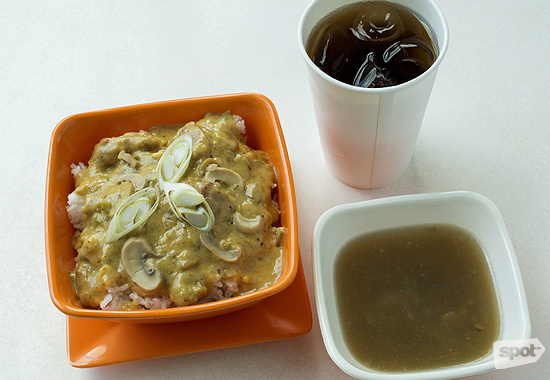 Have your pick from rice bowls featuring chicken or pork rice strips served in the following sauces: Mushroom Melt, Spicy Tomato, and Black Pepper (P130 each). Vegetarians are also likely to get a kick out of their vegan-friendly rice bowls (P120): Japanese Vegetable Curry or Braised Asian Vegetable (P120 each). Whatever it is you’re having, trust that you’ll be in for a treat at King’s Roast; by this, we mean smoky, tender goodness that’s easy on the pocket. Chef Raj says that in the coming months, they’re looking to come out with a more diverse lineup, one that will include roast chicken done in sauces inspired by flavors from all over the globe. 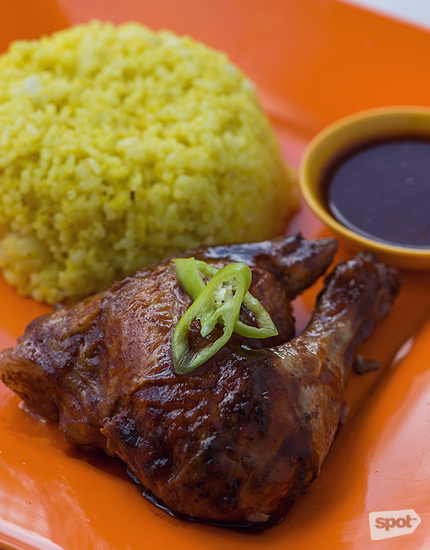 It is hoped that these, along with everything else they’ve done thus far, can help support their long-term goal: to become Manila’s next inasal destination. We’re confident they have fighting chance; after all, as it is, their roasts are already game-changers.